Mary Ann traded this earthly realm for her heavenly home on February 7, 2019. She was able to share her last days with family and friends and assure them that she was ready to take the Lord’s hand and walk again among her loved ones that have gone before her. Her children take comfort that she is once again in the loving arms of her beloved Dale. Mary Ann was born in Greenwood, Indiana, on July 2, 1930, to Phreno and Carrie (Shook) Mathis. She was a 1948 graduate of Bunker Hill High School. She married Richard “Dale” Crites on May 9, 1948. She traded her in town roots for country boots and mastered the life of a farm wife. She was an accomplished gardener, seamstress, cook and farm hand. Her favorite job was of course being mother to four children. She also filled many roles in the church on the corner, Upper Deer Creek. Mary Ann made the choice at 81 to move to assisted living. She took inspiration from the serenity prayer and made the choice to change what she could and accept the fact that it was what was best. She was an inspiration to her fellow North Woods Commons residents through her positivity and friendship. Her stay there was blessed by the friendship of her two fellow Bunker Hill classmates, Devita Ogle and Joan Sutton. The trio is now a single but their friendship will be renewed in the heavens. 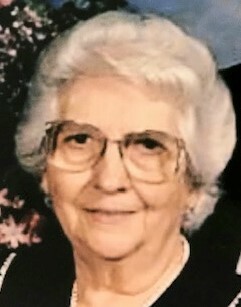 She was preceded in death by her parents; her husband, Dale; her seven brothers and sisters, Guy Mathis, Louise Mathis Hughes, Hazel Mathis Gilliland, Donald Mathis, Wilber Mathis, Robert Mathis and Roberta Mathis Crane; and a son-in-law, Richard Densmore. She is survived by her children, Rick (Nan) Crites, Mark Crites, Peggy Densmore, and Michael (Darlene) Crites, and grandchildren, Rachel (Jason) Bolin, Amanda (Josh) Woods, Jesse (Ashley) Crites, Angela Horner, Eric (Shannon) Densmore, Cari (Ryan) Simmons, Shannon Unger, Michelle Norris, Michael Roberts, Eddie (Patty) Roberts and Jamie (Jennifer) Roberts. She is also going to be missed by twenty great-grandchildren and four great-great-grandchildren. Services will be held at 11 a.m. on Tuesday, February 12, 2019, at Stout & Son Funeral Home, 200 E. Main St., Russiaville, with Pastor Grant Merrell officiating. Friends may call one hour before the service. Burial will be at the Galveston Cemetery. Mary Ann’s family would like to thank Great Lakes Hospice for their kind and professional care for their mother as she prepared for her heavenly home. Messages of condolence may be left online at www.stoutandson.com.